To ensure fans get tickets in their hands directly, Fan Registration is available for the 2018 tour dates beginning today (Jan 18th) at 8 am ET, through Ticketmaster’s Verified Fan program. Supplies are limited. Tickets will go on sale in most markets beginning Friday, January 26th at 10 am through livenation.com. American Express Card Members can purchase tickets for select shows before the general public beginning Tuesday, January 23rd at 10 am. Citi cardmembers can take advantage of a special pre-sale opportunity for U.S. show dates beginning Tuesday, January 23rd at 10 am through Citi Private Pass. Dead & Company has once again partnered with CID Entertainment to offer VIP & Seamless Packages on tour. 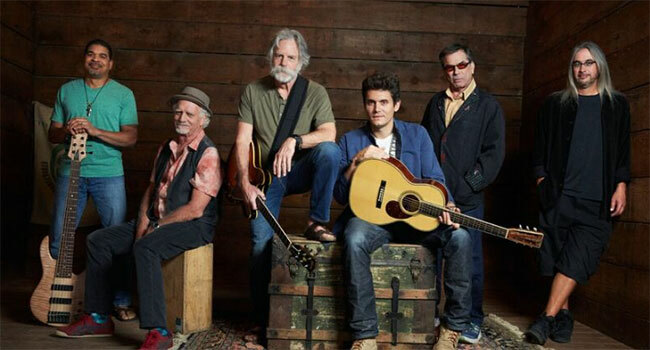 All three packages include a General Admission pit or premium reserved ticket to see Dead & Company. Additional perks include early venue entry, a limited edition, screen printed poster, and a commemorative concert ticket and case.